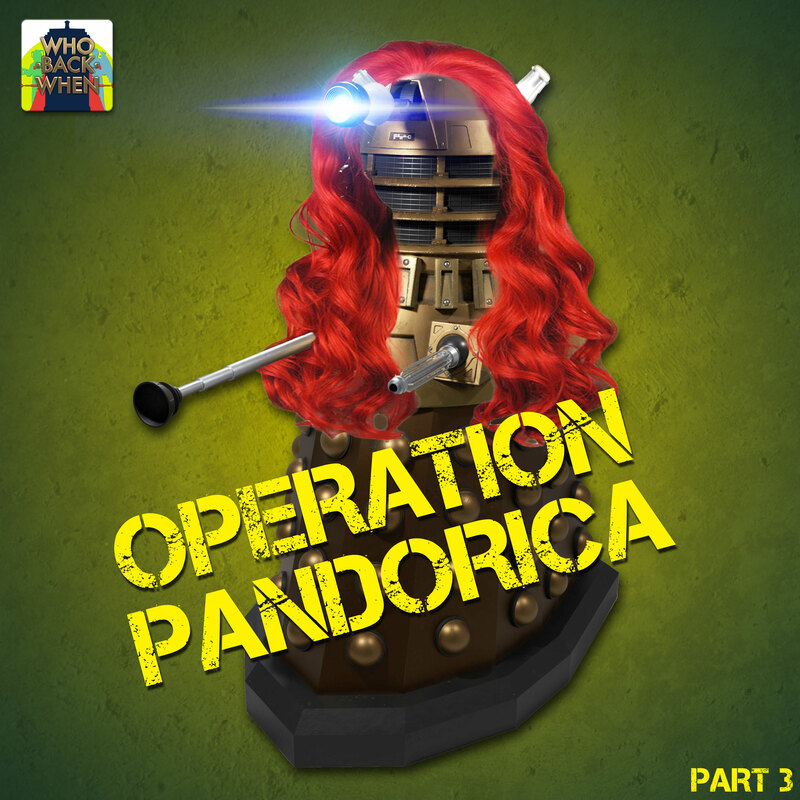 Behold, Operation Pandorica, a brand new, WhoBackWhen-branded audio adventure set in the Doctor Who Universe! Listen to it now! Ever wondered why The Lone Centurion was dragging the Pandorica through London's Blitz? Or what Wilfred Mott did during the war? Or where Donna Noble got her great big gob from? Or what sort of made-up name is Dorabella? Get soon-to-be-canon* answers to all these questions and more with Who Back When's very first Doctor Who audio adventure, Operation Pandorica! We found every part of putting together this audio play immensely satisfying: from the brainstorming and writing, to the full day of acting it all out together and the post production. We're super excited to be bringing this to you, dear Podcastland, and we hope you like it. When you've given it a listen, let the world know! Leave a review on iTunes, tell your friends on your social media wall of choice, and/or ping an email across to whobackwhen@gmail.com and we may just feature it on our next mailbag episode or even on this site! Operation Pandorica, Part 1: It is 1941 and the Blitz has ravaged much of London. Manning the shelters, the feisty Eileen Dover has been making a name for herself as an indefatigable force to be reckoned with. Her boyfriend, Wilfred Mott, has just returned from the trenches and is as proud of her as he is suspicious of the Ancient Roman chap guarding a building on the High Road. Edwin Braceface is stepping into an interview with Winston Churchill himself. And in a bunker in Vauxhall, three Daleks are plotting the end of the world as we know it. Operation Pandorica, Part 2: When Eileen Dover is headhunted to join the War Office, Wilfred Mott's mother, Milfred Mott, is not amused. Meanwhile, Wilf himself is feeling rather sheepish about his first meeting with the Roman Centurion on the High Road and goes to make amends. Rory the Roman, aka "Fred", has a favour of help-me-save-the-universe proportions to ask of him. And those dastardly Daleks are rolling around London like they own the place! Operation Pandorica, Part 3: "Double-One" brings fresh intel to The War Office's latest addition, Agent Siren. Wilfred Mott does his new pal Rory the Roman a favour at the expense of Eileen's shoes. The Daleks roll out a devastating weapon under the unsuspecting noses of the public. And Edwin Braceface is in for the ride of his life. Operation Pandorica, Part 4: Churchill comes upon a case of cross and double-cross. Eileen and Wilfred Mott hurry to the Chiswick warehouse to save Rory the Roman from a German bombing raid. And the Daleks warm up their lasers to intercept them and nab the Pandorica for themselves.